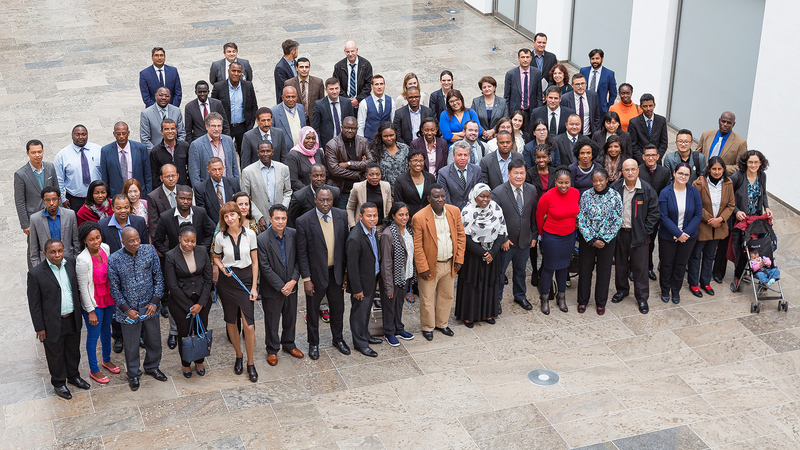 The UNFCCC secretariat has forged partnerships with regional development banks and other institutions to establish Regional Collaboration Centres (RCCs) in under-represented countries in an effort to increase participation in CDM projects. The first RCC was established in January 2013 in Lomé, Togo to increase participation in CDM projects in West and Francophone Africa. A second centre was established in Kampala, Uganda to serve the rest of Africa. A third was established in Saint George’s, Grenada in partnership with the Windward Islands Research and Education Foundation to assist in the development of CDM projects in the Caribbean. A fourth was set up in Bogotá, Colombia , together with Banco de Desarrollo de América Latina (CAF) to support underrepresented countries in Latin America. A fifth RCC was established in Bangkok, Thailand in cooperation with the Institute for Global Environmental Strategies to boost CDM projects in the Asia-Pacific region. The RCCs are designed to help under-represented regions increase their attractiveness and potential for CDM, by building their capacity and reducing the risk for investors. These centres are intended to support the identification of CDM projects, provide assistance for the design of such projects, address issues identified by validators, and offer opportunities to reduce transaction costs. Fully engaging with stakeholders requires a forum where free discussion, exchange of ideas and demonstration of methods of practical application of skills and principles can be encouraged. Therefore the secretariat, in collaboration with stakeholders, organizes workshops and roundtables throughout the year to share best practices, enhance understanding and provide a platform for exchange of ideas. This section contains references to third-party materials. The UNFCCC secretariat provides these materials only as a convenience. The information, interpretations and conclusions expressed in the materials in this section are those of an entity external to the UNFCCC secretariat and do not represent the views of the UNFCCC secretariat or Parties, nor does the UNFCCC secretariat represent or endorse the accuracy or reliability for any purpose whatsoever. 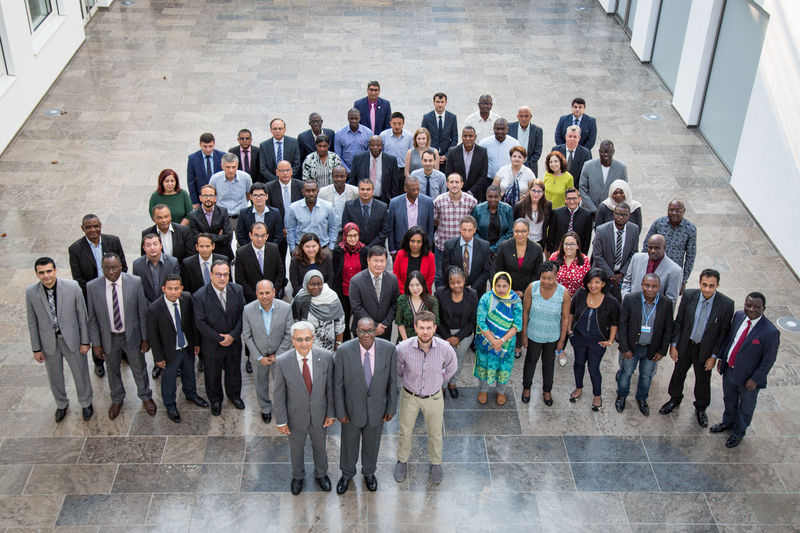 The CDM Executive Board (CDM EB), in response to a request from the Conference of the Parties serving as the Meeting of the Parties to the Kyoto Protocol (CMP), hosted a half day in-session workshop during the forty fourth session of the Subsidiary Bodies (SB44) in May 2016 in Bonn, to explore the opportunities for the finance and use of the CDM by ICFIs, such as the Green Climate Fund. The CDM EB will report back to the CMP at its twelfth session on this programme of work. 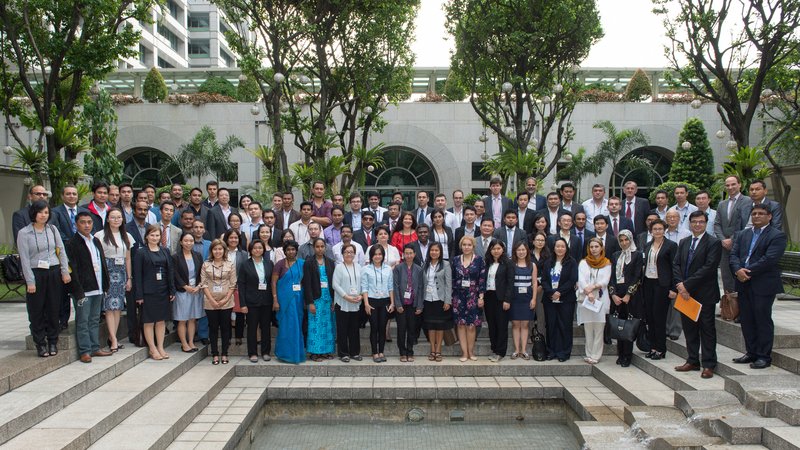 This event was held at the Headquarters of the Asian Development Bank (ADB) in Manila, Philippines. 2) Views of Private Financing Institutions, Daniel Rossetto, Climate Mundial Ltd. This event was held at the United Nations Economic Commission for Latin America and the Caribbean (ECLAC) in Santiago, Chile. 4) NAMAs and INDC: Building on the CDM Experience, Vladislav Arnaoudov, Mitsubishi UFJ Morgan Stanley Securities Co., Ltd.
1) Institutional readiness: challenges and opportunities, Vladislav Arnaoudov, Mitsubishi UFJ Morgan Stanley Securities Co., Ltd.
2) Philippines rice standardized baseline for NAMAs: from conception to implementation, Vladislav Arnaoudov, Mitsubishi UFJ Morgan Stanley Securities Co., Ltd.
Group 1 and 2:What DNAs require from PPs regarding the SD from CDM projects/PoAs and how DNAs assess and monitor CDM contribution to SD? Discussion and conclusions on best practices of what is necessary to identify and monitor SD; how to monitor SD of a project throughout its lifetime. Group 3 and 4: How to use the tool and what are the benefits? A practical example identifying SD benefits. Session 6 - LoA approval process, PoAs and Standardized Baselines—Hands on! Group 1. Best practice for the LoA approval process. What DNAs need to check for different kinds of CDM projects, PoAs and multi-country PoAs? Setting up standard LoA content based on different types of CDM PAs/PoAs. Group 2. This is dedicated session on standardized baselines, to follow up with already submitted and new submissions of standardized baselines, or for those who are interested in developing a standardized baseline. Group 3 and 4. These are dedicated sessions for the participants to enhance their knowledge, get the latest updates and sharing experience on one PoA issues. A PP experience: challenges faced developing PoAs and how they were overcome. DOE: Overview of the PoA concept and main requirements for validation, registration, monitoring, verification and issuance of CERs. Description: This was an interactive session where the participants were divided in groups. Each group was tasked to discuss topics mentioned below under the guidance of a group moderator. The participants have reviewed trends in the future carbon markets and have shared their expectations. At the end of such discussions, the session moderator convened a joint session wherein all group moderators reported back views and suggestions from their respective groups. This exercise brought out some key messages which can be taken up by the involved stakeholders. Plenary 1 - What does the future holds for the CDM? Practitioners Workshop on the "Standards for baseline scenario identification and baseline emission calculations" (4-5 March 2011). Direct communication with the CDM Executive Board and the secretariat initiated by stakeholders is an important source for identifying areas for improvement and gathering feedback from the stakeholder community. AEs/DOEs, DNAs, project participants and other stakeholders may initiate a communication directing to the CDM Executive Board or the secretariat, on the understanding, application and development of CDM rules and the implementation of project activities and programmes of activities (PoAs), e.g., technical or operational explanation, suggestions/ proposals for new regulations, using the “Stakeholder communication form” (CDM-COM-FORM), available under the CDM webpage, Rules and Reference section, under the Forms sub-section, here. The completed form (CDM-COM-FORM) and any supplemental documents shall be submitted electronically to cdm-info@unfccc.int, or via fax to +49-228-815-1999 or via post to: Sustainable Development Mechanism (SDM) Programme, UNFCCC secretariat, P.O. Box 260124, D-53153 Bonn, Germany in accordance with the Procedure: Direct communication with stakeholders. When preparing new regulatory documents or a major revision of existing documents that have a significant impact on stakeholders, the secretariat on behalf of the CDM Executive Board or its support structures (panels and working groups) launches a call for input to seek views of stakeholders on the areas to be covered/revised in the different documents and the concerns that it should address. The duration of calls for input is decided on a case by case basis and a deadline is provided for submissions related to each call. Learn more about how to promote your DNA and the CDM.